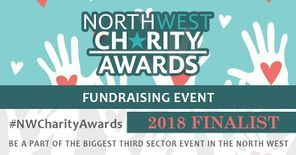 Cumbria Down's Syndrome Support Group have had an early Christmas present in the form of 3 grants from the Parry Family Charitable Foundation! 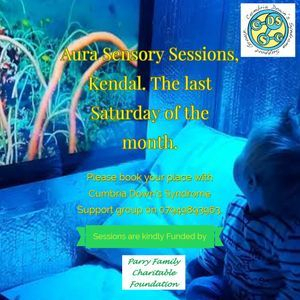 The First is for Monthly sensory sessions at Aura, Kendal. The second is to provide kit for our Walk leaders and Walkers. The third is to put toward room hire for Singing Hands. Singing hands use Makaton to perform to children and will be in Kendal on September 28th & Carlisle on September 29th for CumbriaDSSG. 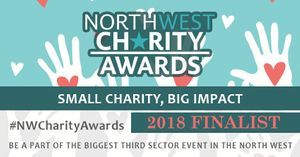 More information and tickets on sale soon ! 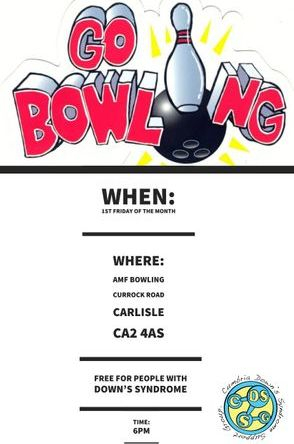 We hold regular Bowling sessions, which are FREE to members, their siblings, parents and carers. Sessions are on the 1st Friday of every month. 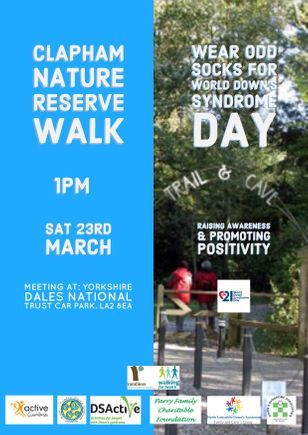 A great way to socialise and meet new friends. Up Up and Away Early intervention sessions. 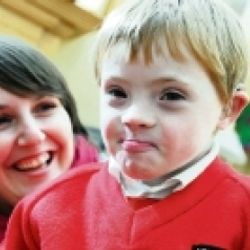 There is a lot to be said about early intervention and children with Down's Syndrome need additional support when it comes to learning how to sound out words and speak. Professor Sue Buckley, saw the need for a speech and language programme when her daughter was young. 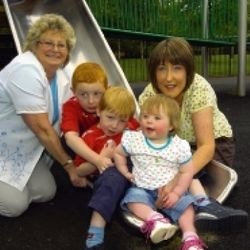 Today, thanks to her we have See and Learn, "Specialist, evidence-based apps and teaching materials designed to improve language, reading, speech, memory and numeracy outcomes for children with Down syndrome." 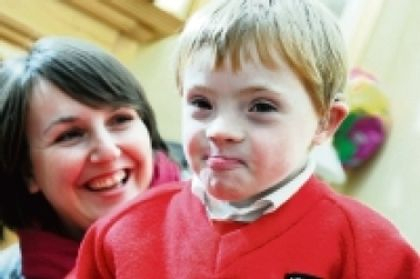 For people living in the South of Cumbria our lovely neighbours in the North Lancashire Down's Syndrome Support Group have invited you to join their Early intervention classes with Up Up and Away. DSA "Tell it Right, Start It Right" Campaign. In January we went along to meet Student Midwives at Cumbria University. 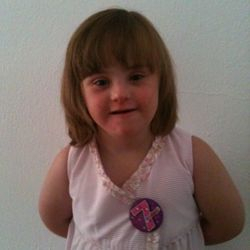 The Down's Syndrome Association Did an Amazing job of educating and raising awareness about Down's Syndrome amongst the students. Members of our group each gave an informative presentation about their birth stories and one of our younger members aged only 1 came along to say hello. 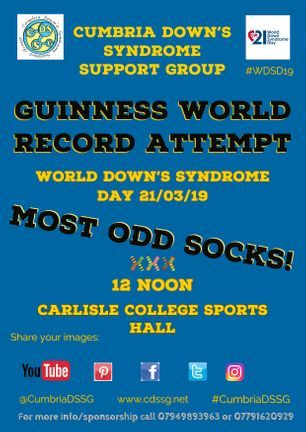 The feedback from this was extremely positive and a lot of the Student midwives said they though it was helpful to speak to parents of children who happen to have Down's Syndrome.